The boys have now gotten their wish. Twice. Monday was the fun day. 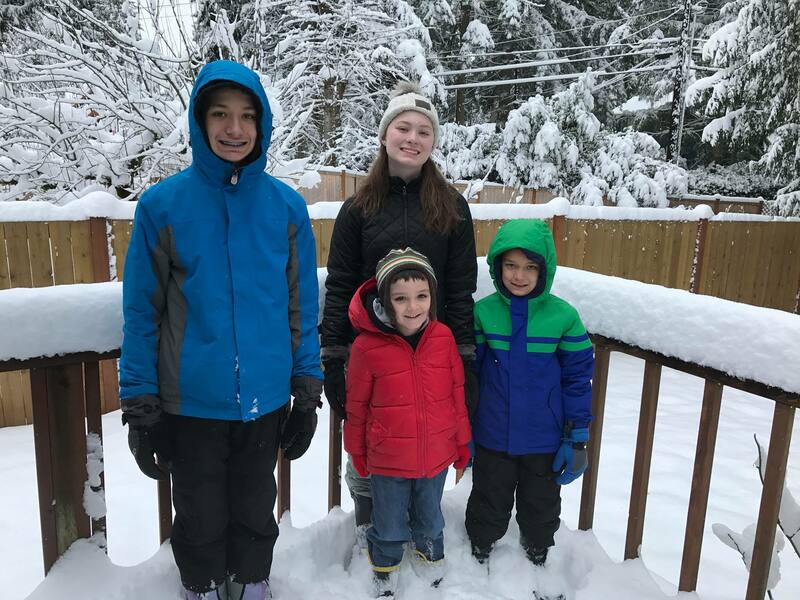 The kids woke up as if it were Christmas morning in “A Christmas Story.” The whole world was coated in white. 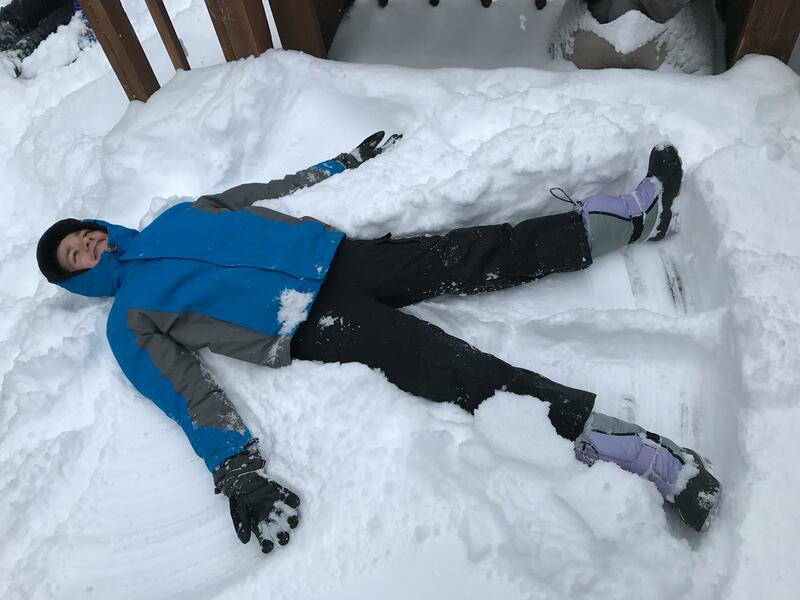 I immediately went looking for all the snow gear I could find. While I had enough of certain things, I did not have enough of others. Rerun and Thumper had their rain boots, which would work well enough in the snow, though they wouldn’t be as warm. Ane borrowed my rain boots. Tad was odd man out, but managed to squeeze into my snow boots (which were a smidge small for him, but worked in a pinch). However, poor Thumper was without snow pants. Rerun and Ane had pants that fit. Tad could have used a slightly larger pair, but made do with the size that I bought TWO YEARS AGO and had in the closet, tags still on. Thumper is all about being warm and cozy, so I honestly didn’t know how long he would last in the snow. But then he discovered the sled. 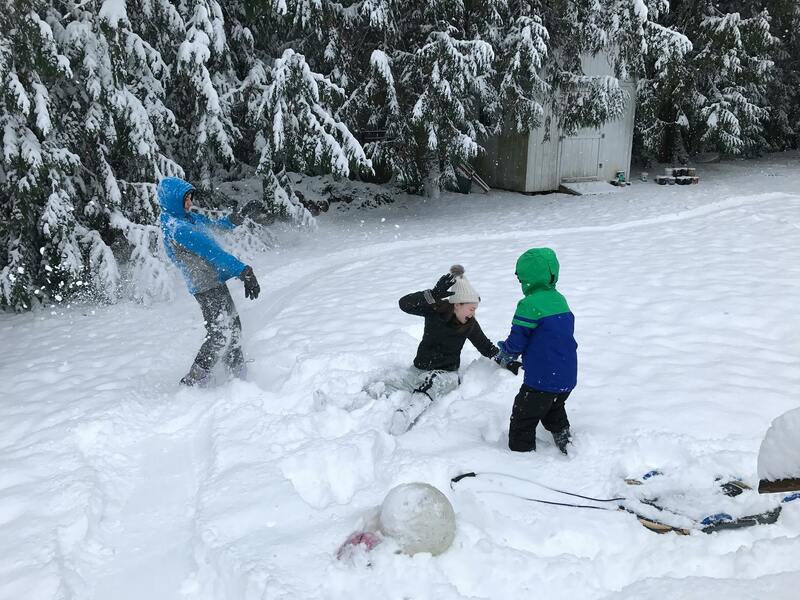 His sister pulled him around the back and front yards, and only brought him in when he was really chilled and his pants were soaked with snow. Everyone eventually came in to warm up by the fire, and all was well. School today was also canceled. This was a bigger deal, as it was colder, the snow was frozen, and no one wanted to play in it. It also meant that Thumper was missing therapy for the second day in a row, and Tad would miss his session as well. 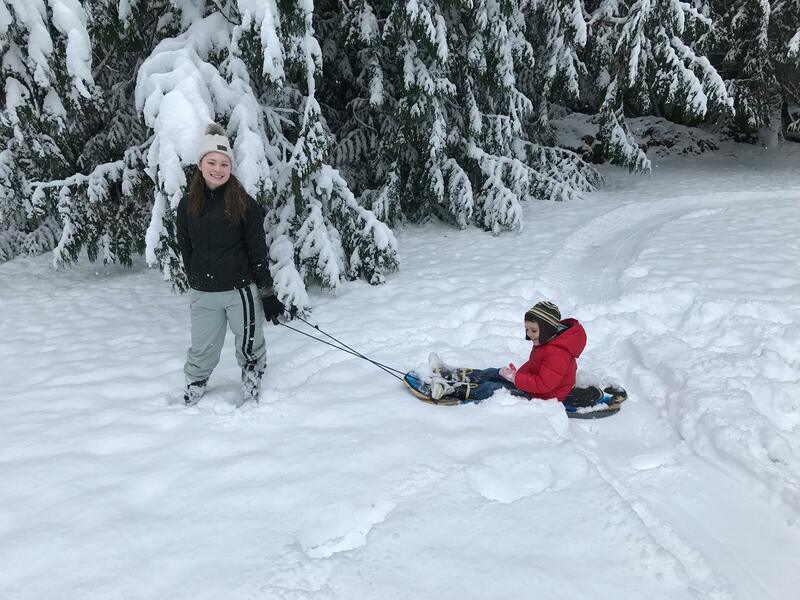 This entry was posted on Tuesday, February 5th, 2019 at 3:30 pm	and is filed under Children, Life in the Pacific Northwest.